In this article we will look on Denon AVR-S500BT 5.2 AV receiver. It is compatible with HDMI 2.0 standard and has 5 such inputs and 1 output. It can pass-through 4K video signal to other devices with 60 Hz frequency and in 4:4:4 Pure Color color format. Receiver can accept signals via wireless Bluetooth connection, USB port or different analogue connectors, that are placed on its front and back panels. It can output audio signal to 5 speakers and 2 subwoofers with 140 W max power. It supports decoding of Dolby TrueHD and DTS-HD sound formats and precise setup of speakers position with use of microphone, which allows to place given speakers optimally in given room for best audio picture. 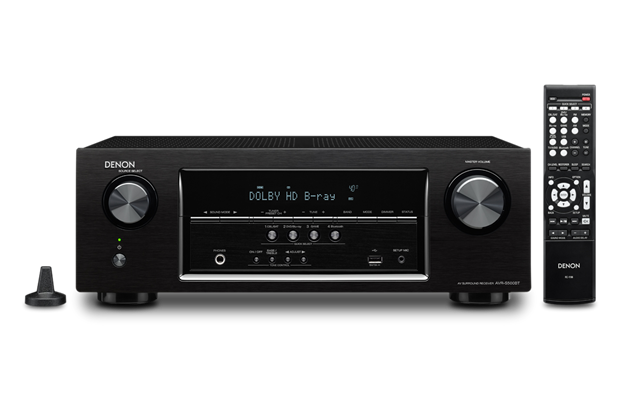 Denon AVR-S500BT 5.2 maximally consumes 330 W of energy in working mode with ability to go into eco mode and 0.3 W in stand-by mode. There is ability to control receiver via remote control, front panel and smartphone ( with use of special application ); there is also FM/AM tuner built into receiver for radio signal pick up. 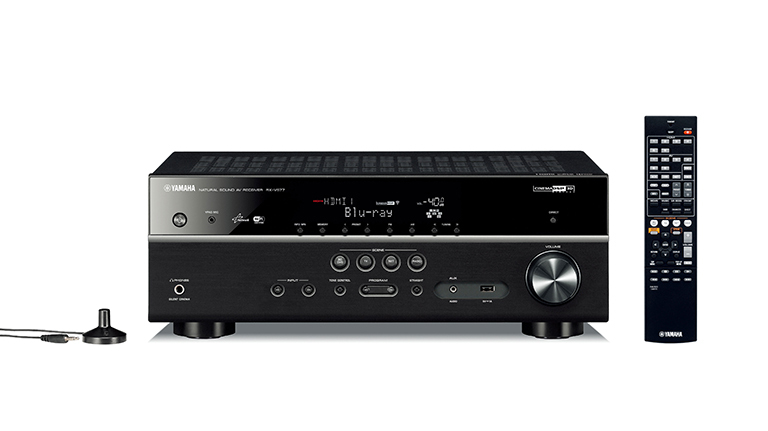 In this article we will review Yamaha RX-V577 AV receiver. It is created for receiving audio, video and images signals from different sources and their conversion into analogue format with amplification or direct pass-through to other devices for processing. It can accept signals from HDMI, Wi-Fi, AirPlay ( for data receiving in digital format from iPhone, iPad, iPod, Mac and PC devices ), HTC Connect and USB connections. Receiver can transmit audio signal to 7 speakers and 2 subwoofers and can pass-through 4K video signal. It supports YPAO function, which allows to precisely tune speakers position with microphone to obtain optimal sound quality. In stand by mode Yamaha RX-V577 consumes only 0.1 W of energy. For each audio channel it uses separate digital to analog converters ( DACs ), which work on 192 kHz frequency, with 24 bits precision. It has following sound processing effects and technologies : CINEMA DSP, 17 DSP programs, Virtual Presence Speaker, SILENT CINEMA, Virtual CINEMA FRONT, Extra Bass, Dolby TrueHD, Dolby Digital Plus, DTS-HD Master Audio and Dolby Pro Logic IIx. It has 115 W max power output; built in FM/AM tuner; and can be controlled via remote control or smartphone.